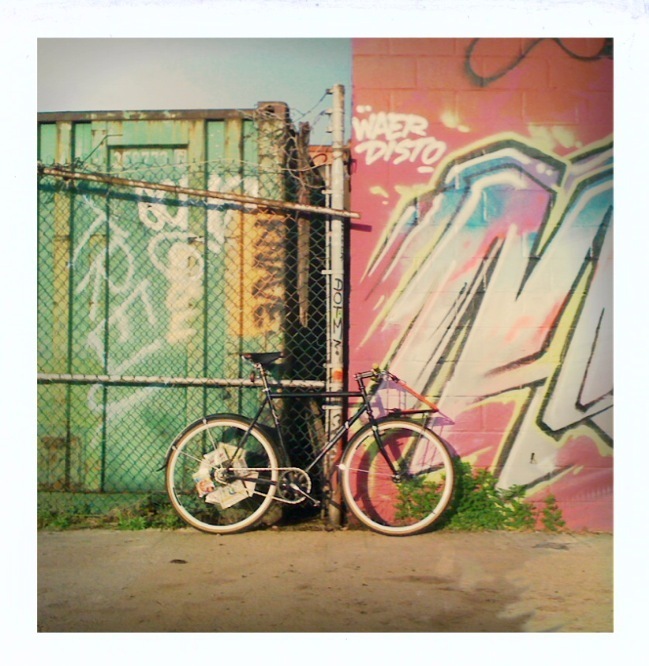 Greater Philadelphia Bicycle News: And The Results Are In...: Bike Month Photo Contest Winners! And The Results Are In...: Bike Month Photo Contest Winners! The Bicycle Coalition is please to announce the results of our first-ever Bike Month Photo Contest. All of the entries were beautiful, and we'd like to thank everyone who participated by entering photos or voting for "Crowd Favorite". Take a look at all the entries here. We've provided maps of the locations of these photos, so that you can go check them out yourself! Betty's Adventure, by Jenelle Rittenhouse. Location: West River Drive/MLK Drive. Camden, by Richard Dreyer. Location: 19th and Carman, Camden, NJ. Foggy Commute, by Matt Anastasi. 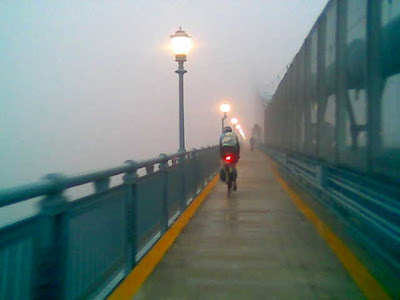 Location: Ben Franklin Bridge, during an early morning commute from South Jersey to Upenn. Morris Arboretum, by Liz Kelley. Congratulations to our winners! 1st place, 2nd place, and Crowd Favorite winners will receive a print of their photo signed by Bicycle Coalition staff and an I Bike PHL T-shirt. Please don't forget to take a look at all the other amazing photos that were submitted.